Debugging is a process that consists of finding the cause of defects in applicative code and application user interface. Native code can be debugged by using standard tools that are provided by the platform SDK, such as XCode, Android, or Microsoft Visual Studio. 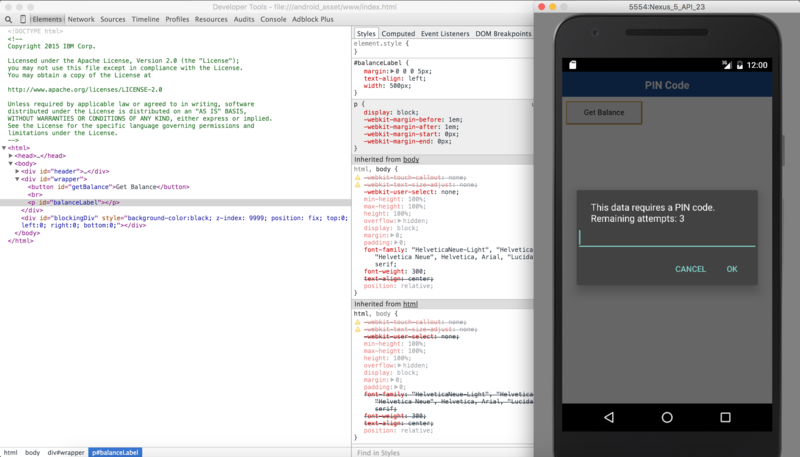 Learn more about Cordova debugging and testing in the Cordova website: Debugging applications. 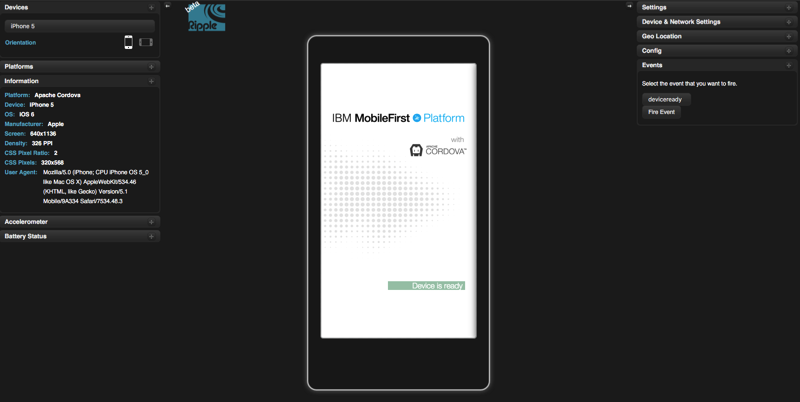 You can use the IBM Mobile Foundation Mobile Browser Simulator (MBS) to preview and debug MobileFirst applications. Important: The preview feature has several known limitations. Your application may not behave as expected during preview. For example, it bypasses security features using a confidential client, so challenge handlers are not triggered. Learn more about the MobileFirst CLI in the Using MobileFirst CLI to manage MobileFirst artifacts tutorial. Apache Ripple™ is a web based mobile environment simulator for debugging mobile web applications. 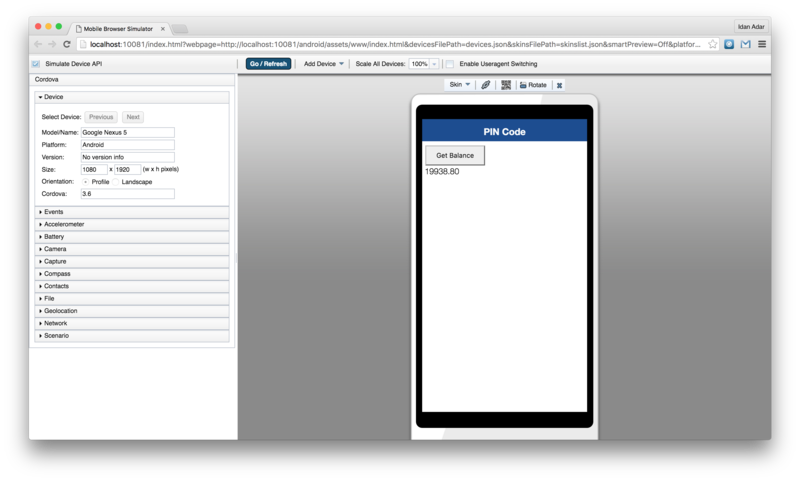 It lets you run a Cordova application in your browser and fake various Cordova features. For example, it can fake the camera API by letting you select a picture locally from your computer. Download and install the latest version of Node.js. You can verify Node.js installation by typing npm -v in terminal. More information about Apache Ripple™ can be found on the Apache Ripple page or npm ripple-emulator page. 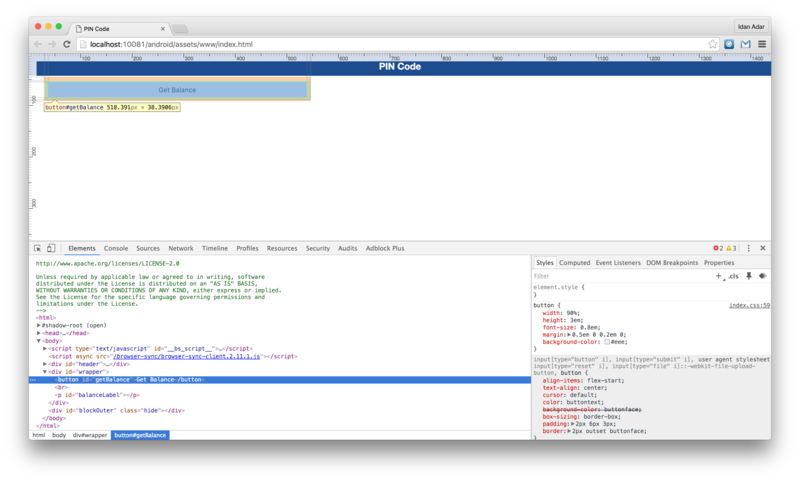 Starting iOS 6, Apple introduced a remote Web Inspector for debugging web applications on iOS devices. To debug, make sure that the device (or iOS Simulator) has the Private Browsing option turned off. To enable Web Inspector on the device, Tap Settings > Safari > Advanced > Web Inspector. 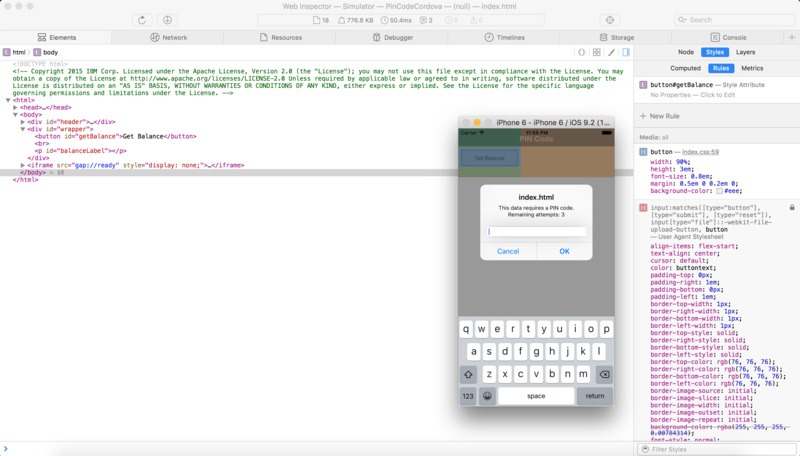 To start debugging, connect the iOS device to a Mac, or start the simulator. In Safari, select Develop > [your device ID] > [your application HTML file]. Using Google Chrome it is possible to remotely inspect web applications on Android devices or the Android Emulator. This action requires Android 4.4 or later, Chrome 32 or later. Additionally, in the AndroidManifest.xml file, targetSdkVersion = 19 or above is required. In the project.properties file, target = 19 or above is required. Start the application in the Android Emulator or a connected device. In Chrome, enter the following URL in the address bar: chrome://inspect. Press Inspect for the relevant application. Mobile Foundation provides a WL.Logger object that can be used to print log messages. WL.Logger contains several levels of logging: WL.Logger.info, WL.Logger.debug, WL.Logger.error. For more information, see the documentation for WL.Logger in the API reference part of the user documentation. Developer console when previewing a platform using a Simulator or Emulator. Visual Studio Output when it is running on a Windows devices. You can use filters to follow only what is required. 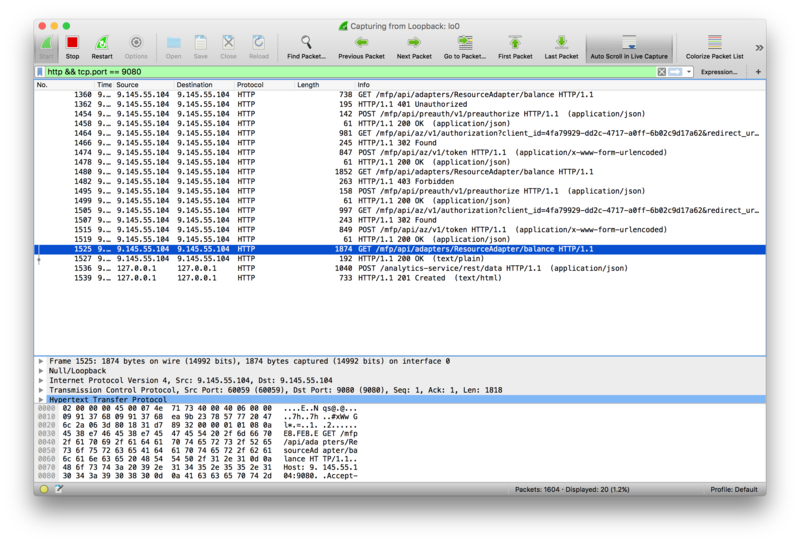 For more information, see the WireShark website.